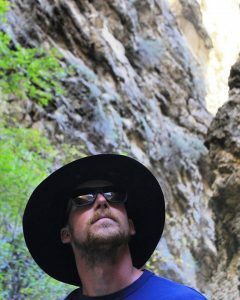 Meet Ross, a delightful man hailing from the Ketchum, ID area as well as Santa Barbara, CA. By day, Ross is a vivacious paddle guide amongst other roles, known to get his whole team of paddlers in unified strokes and singing songs! By evening, Ross is our incredibly talented Massage Therapist. Not all can say they’ve had a massage in a setting as serene and breathtaking as the Frank Church Wilderness. Ross is a big fan of strong coffee, Queen B (Beyoncé), and is a notorious Burning Man attendee. He swims better than most fish, which is evident in the river as well as during his off-season love of surfing. He is also an avid rock climber, and is often seen scaling cliff walls across Cliffside Camp on the Middlefork! Ross practices Massage Therapy at numerous locations in both Idaho and California. We love Ross! Daniela is one of our newest guides. She joined us full-time for the 2016 summer after falling in love with Idaho’s rivers and forcing her way onto the F&A crew the year before. Whether you find her in the boat, in the kitchen, or around the campfire, Yella is guaranteed to arouse an uproar of laughter with her offbeat humor, diverse accents, and mischievous grin. During the offseason, Dan is embracing the ski bum life and an aspiring French Teacher. Let her show you the Frank Church this summer, you won’t regret it! Being born and raised in the Idaho outdoors, Jake has a passion and zest for the River and it shows! This guy is never short of stories to tell, poems to recite, and always carries handful of jokes. On the river, Jake is our primary fishing guide, eyes always on the Rapids and the gilled-creatures beneath! Watch out ladies, he is one heck of a swing dancer and will kick up his boots at any given tune! Favorite spot on the river: Greyhound Creek. 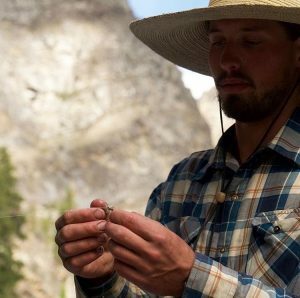 Jake from the University of Idaho where he studied his other love: fire ecology. 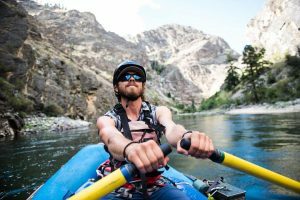 After joining us on a training trip and working some late season trips, we couldn’t stand the idea of running the Middle Fork without Galen. 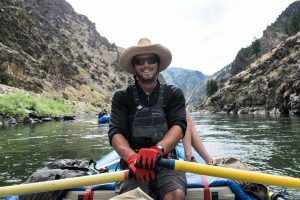 After 3 seasons of running the Main Salmon and occasionally the Middle Fork, he was excited to make the transition to the Middle Fork full time. 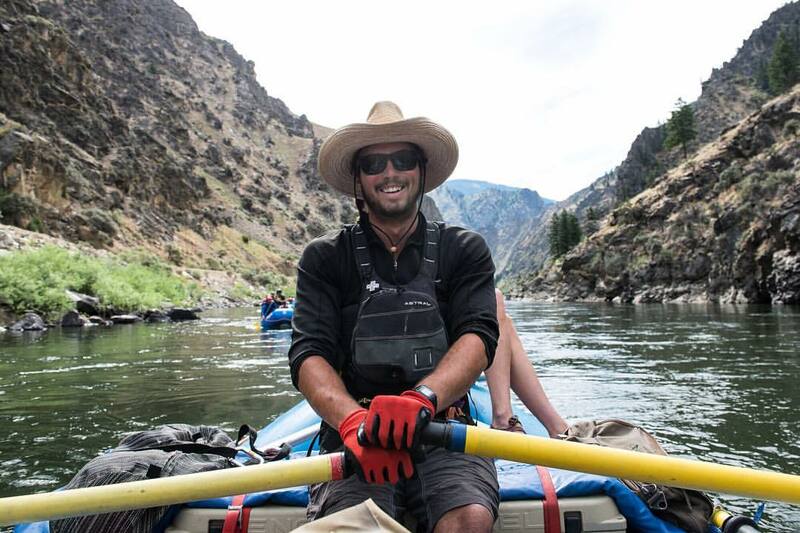 A Wood River native, Galen grew up on Idaho’s rivers and has a passion for the outdoors. Galen is a recent graduate from the University of Idaho with a degree in Recreation trying into Outdoor Education. He minored in Business and wants to learn as much as possible about the outfitting world. 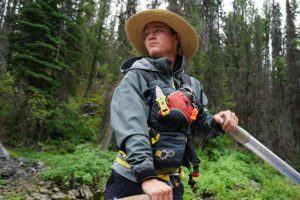 He spent two years working for the University’s Outdoor Program where he helped instruct field courses and lead all different kinds of trips around the Northwest. During his free time, Galen can be found running rivers all over the West, kayaking, and backcountry skiing. We are excited to welcome this enthusiastic, fun loving, hard worker to our crew! Get excited to run the river with this hilarious guy. If you are looking for a spiritual yoga session on the river, Hanna is your girl! After finishing her yoga certification in Bali, she is one of our two yoga instructors. Hanna grew up hunting and fishing in the Idaho wilderness; if you have never fished before, she is both an amazing teacher and an enthusiastic fisher woman. Whether you are on her fishing boat or in her paddle boat, be sure to pick her brain about world travel! Favorite addition to any meal: anything coconut. Her love and passion for the Church are infectious; she is a great one to get to know! Chris ran his first boat down the Middle Fork of the Salmon at age 14! Being the son of the owners, he was raised on this river, having been on river trips all the way back to his earliest memories. Majority of the time, Chris drives Sweep Boat, but on occasion you can find him hollering commands and playing in some whitewater on the back of the paddleboat! He loves Taylor Swift, has incredible dance moves, and if asked would say Waterfall Creek is his favorite place on the Middle Fork. Chris is attending the University of Idaho. Yay Chris! 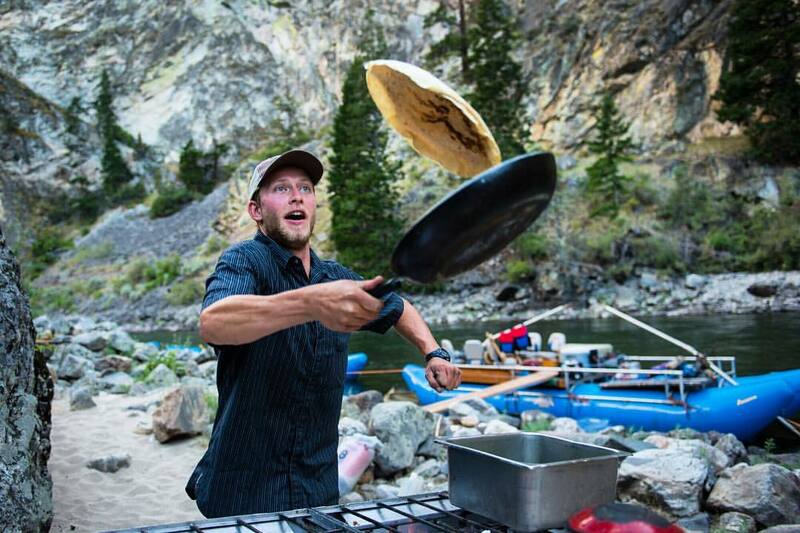 Matti has a number of tricks up his sleeve: pictured is his killer quesadilla flip. He is a one of a kind, enthusiastic, smart, goofy guy. Being a long time kayaker, Matthias has an understanding of water that takes most guides years to learn. When he isn’t playing in his kayak, he is driving a sweep boat down the river and sometimes even guiding a paddle boat or rowing an oar boat. In his off season, he studies Water Law at the University of Oregon and plans to one day do his part to help with the management of our water resources. We love working with Matti! Sanne is the newest member of our crew, and we are psyched to have her! 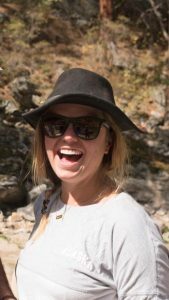 She is graduated from Montana State University this May with a Bachelors of Science in Environmental Science with a focus on Natural Resource Management. 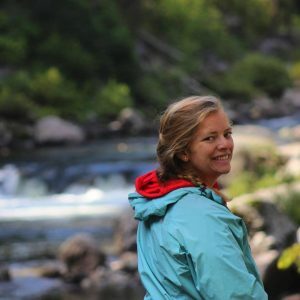 Sanne has a large affinity for anadromous fish (and all fish in general), so much so that she wrote her Senior thesis on Snake River salmon and steelhead and the potential positive impact of the removal of the 4 dams on the Lower Snake. We can’t wait for her to share all of her knowledge with us this season! In the near future, she plans to go to graduate school to get her masters in Environmental Education or something similar in order to pursue a career in teaching! 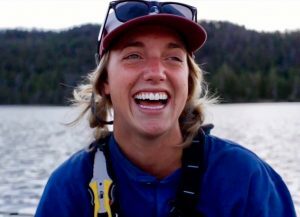 Get stoked for season of boating and fishing with Sanne! If you ever want to hear a story about anything on the river, you want to hear it in all of its eloquence from Sage. 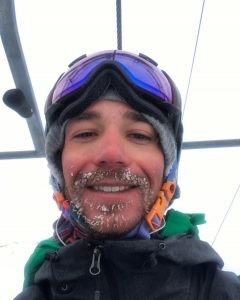 As a recent college graduate with a degree in Journalism and Outdoor Leadership, he combines his passions through researching and writing about the Tukudeka people (the Sheepeaters, the natives of the Middle Fork) and then being able to share this knowledge with our clients as he takes them downstream. Sage is one of our most seasoned guides and has mastered every craft, but is most commonly found driving a sweep boat. When he isn’t driving a boat downstream, setting up tents at a remarkable speed or grilling up a mean steak, you can find him around the campfire singing his heart out and playing his steel guitar. Being a lifelong fisherman, he is always game to cast a line using some of his own flies! 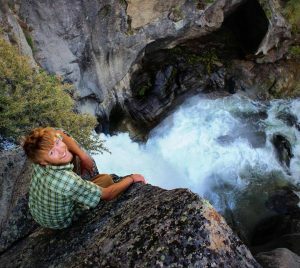 Get excited to ride on his boat as he deftly navigates the rapids while occasionally singing to you and recounting stories about the incredible people and happenings of the Middle Fork. As a native of Ketchum, ID, Issaquah, WA, and Hood River, OR, she knows how to find an adventure. 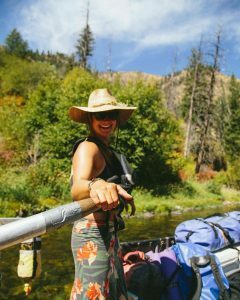 Whether you find Jessie driving a sweep boat, rowing an oar boat, or guiding a paddle boat you will be impressed with her knowledge of the Frank Church and her ability to skillfully navigate the river. When she isn’t on the river, Jessie is traveling the world or managing a kite surfing school in Mexico. Occasionally, you will find her leading a morning yoga class before hitting the river and don’t forget to get her Grandma’s bread pudding recipe from her- it is amazing! Favorite place on the river: Veil Falls. It’s where she decided she wanted to be a guide on the Middle Fork! Jessie is one strong and badass chick! When you see Reed making eggs in the morning, you want to order an omelette and watch the master at work. He is constantly surprising us with his hidden talents and his impressive collection of hats and pearl snaps! Most days, you can find Reed driving sweep boat and pulling the night shift around the campfire. He has a couple of great stories and songs that you might hear after nightfall; when he starts singing in a Scottish accent, prepare yourself for some side splitting laughter! 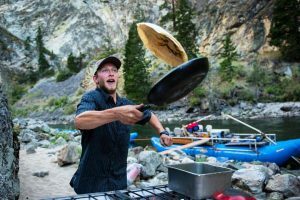 When Reed isn’t on the river, he is pursuing a number of different careers and passions including working as a firefighter, an Arborist, driving snow cats in Sun Valley, tossing pizzas and any number of other places. At the end of this river season, he spent two weeks working at a hunting camp in the Frank Church, learning to pack horses and spending some more time in the wilderness. Reed brings an exceptional amount of enthusiasm and dedication to the work that he loves as he is constantly seeking to expand his knowledge; it is truly inspiring! Get to know Reed on the passenger sweep known as the ‘Freddy J’ and see what you can learn from him as you head downstream! Zac is joining us this season to complete our second sibling pair- without looking at last names, I bet you can’t guess who they are! Zac joined us for a number of trips last season and is going to be on with us full-time this summer. In the off season, he is studying in Bozeman, MT at Montana State University. Zac grew up in the Wood River Valley spending his time playing sports and in the great outdoors. We are stoked to have him on with us this summer!